With demanding classes, tedious work, and increased responsibility, college life can quickly become stressful. Now, with Schoolcraft’s newly established on- campus yoga studio, there is a place to relax and unwind from a hard day’s work. Located in the Physical Education Building, in the room, that was previously the fitness center, the brand new yoga studio is equipped with wood flooring, soft, tranquil lighting, and walls painted in soothing colors, to allow for the ideal yoga experience. Hosting a variety of classes ranging from beginner to advanced in the various traditional yoga disciplines, there is a place for everyone at this studio. There are also unique class offerings such as pool yoga, The caring and experienced instructors make the yoga classes accommodating and enjoyable sharing their knowledge of yoga with anyone who is willing to participate. Yoga allows students to enhance personal flexibility, strength, and muscle relaxation through the practice of the art. 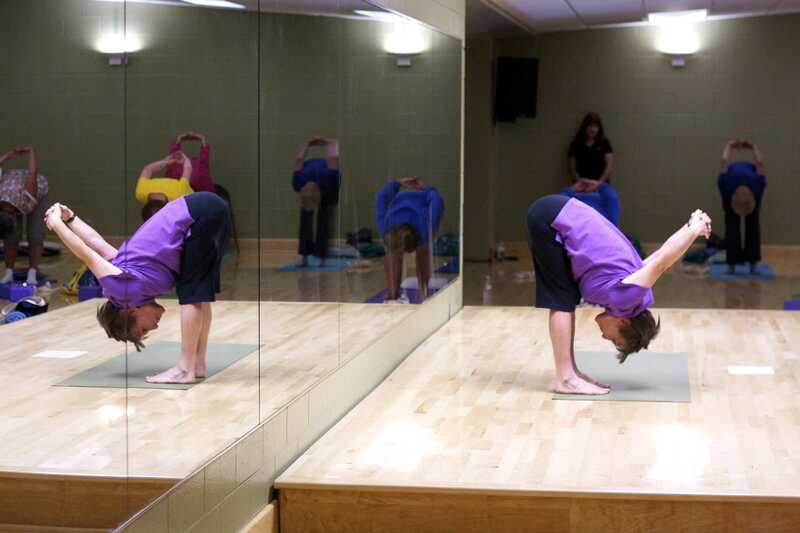 The new center focuses on creating a more professional yoga atmosphere with the introduction of state-of-the-art equipment, air conditioning, and access to renovated locker rooms at a much more convenient location in the Physical Education building near the south lot. A clean and comfortable environment, the new yoga studio is definitely worth a visit and a great place to escape from a stressful day. To find out more about what classes are currently being offered and how you can enroll, contact the Continuing Education and Professional Development office at 734-462-4448 or go to http://www.schoolcraft.edu/business-and-community/continuing-education.